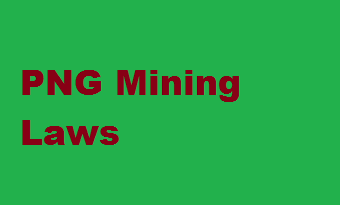 The PNG Chamber of Mining and Petroleum made statements last week claiming that the PNG mining laws are uncompetitive, in view of the government’s recent amendment to the Mineral Resources Authority (MRA) Act of 2005 and the proposed amendment to the Mining Act 1992. Their statements are untrue and are designed to scare off the National Parliament from amending the laws so that the mining companies can continue to reap all the benefits of mining in the country, whilst keeping the landowners and citizens who own the resources poor, as they have been successfully doing for decades. The Resource Owners Federation of Papua New Guinea believes that, although the Mining Act 1992, needs to be reviewed, it should not be reviewed for the benefit of the mining and petroleum companies, but for the benefit of the country and its citizens. The United Nation’s High Commissioner of Human Rights, during his visit to Papua New Guinea, in early February 2018, observed among others that; “Papua New Guinea was a resource-rich country but much of its population lives in abject poverty, with acute malnutrition rates in some areas comparable to Yemen, and minimal access to quality healthcare and education. The UN High Commissioner’s observations are an accurate assessment of Papua New Guinea, being a country that was “so rich, but yet so poor”. Such assessment, is yet another official condemnation of the country’s state of affairs, in relation to the social and economic conditions of the country and its people. A significant reason for such condemnation is that, our natural resources have been managed in a way that all the benefits of the mining and petroleum projects are transferred to foreign shareholders, with nothing or very little being left for the country and its citizens. Such an official negative assessment from the United Nations must therefore, result in significant corrective actions to be taken by the State and its representatives, by way of reviewing the country’s inappropriate laws and policies. The Mining Act 1992, as it stands and for the above reasons, is a primitive, unjust and self-harming law, which must be reviewed in its entirety, so that ownership of minerals is retained by the customary landowners. Minerals can still be mined only after development agreements are reached between the landowners and mining companies. Such arrangements have and are already in force, in many states of the United States of America. Under such an arrangement, the State stands to collect taxes from both the landowners and the mining companies. All parties then benefit from a project, in contrast to Papua New Guinea in the past and today, where the landowners are the ultimate losers. The recent amendment of the MRA Act 2005, was justified in that, the mining industry members were regulating themselves from 2005 to 2018, after having gained a significant number of seats on the Board of the Authority. The MRA was therefore seen as an organization that was run by the mining industry for its own benefit and against the interest of the country and its citizens. The Chamber of Mining and Petroleum now calls the amendment uncompetitive, because of their exclusion from the Board that they controlled for many years to their benefit but to the detriment of the landowners, the country and its citizens. The Federation challenges the Chamber of Mining and Petroleum to identify any government in the western world that would allow the mining industry to take over the enforcement of its mining laws against itself. We would think that such a practice, if allowed, would be deemed to be corrupt and therefore unlawful. The Federation believes that the amendments to the Mining Act 1992, the MRA Act 2005 and the Petroleum Act 1998 are three laws which must be amended so that those citizens who are owners of the land under which any mineral or petroleum are found, are recognized by law, as the owners of those resources. This then will be the beginning of a new era, where the State will be building a stronger nexus with its people going forward.